For a soft static free wash that smells delightfully of lavender. Like all their other products this Bio D fabric conditioner is free from petroleum products optical brigtheners enzymes and animal by-products. Made as a concentrated formula to reduce waste and volume. Good for washing machines twin tubs and hand washing. 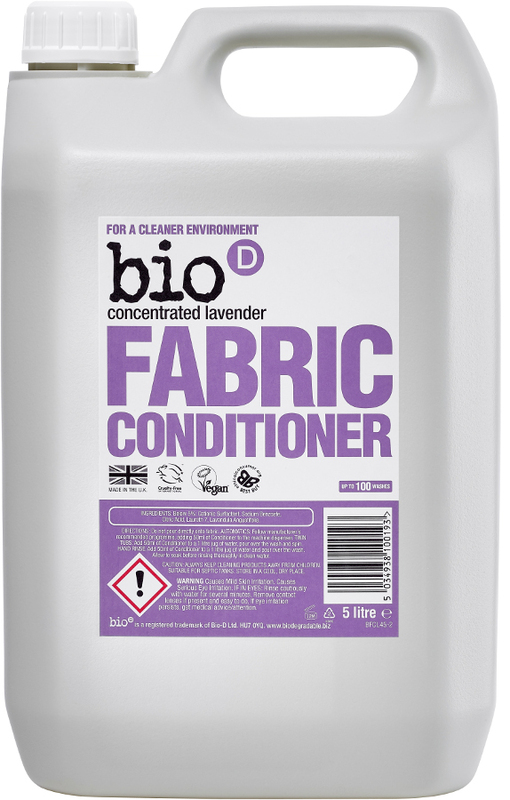 The Bio D Concentrated Fabric Conditioner - Lavender - 5L product ethics are indicated below. To learn more about these product ethics and to see related products, follow the links below. Goes a long way. Pleasant smell. Everything you want from a conditioner. I've been using this for a while now and I still love it. A small amount leaves clothes feeling soft and smelling great. The fragrance is beautiful and just enough, not overpowering. No negatives at all. Fantastic product! It leaves fabric nice and soft, and the smell is just beautiful. Great value for money. 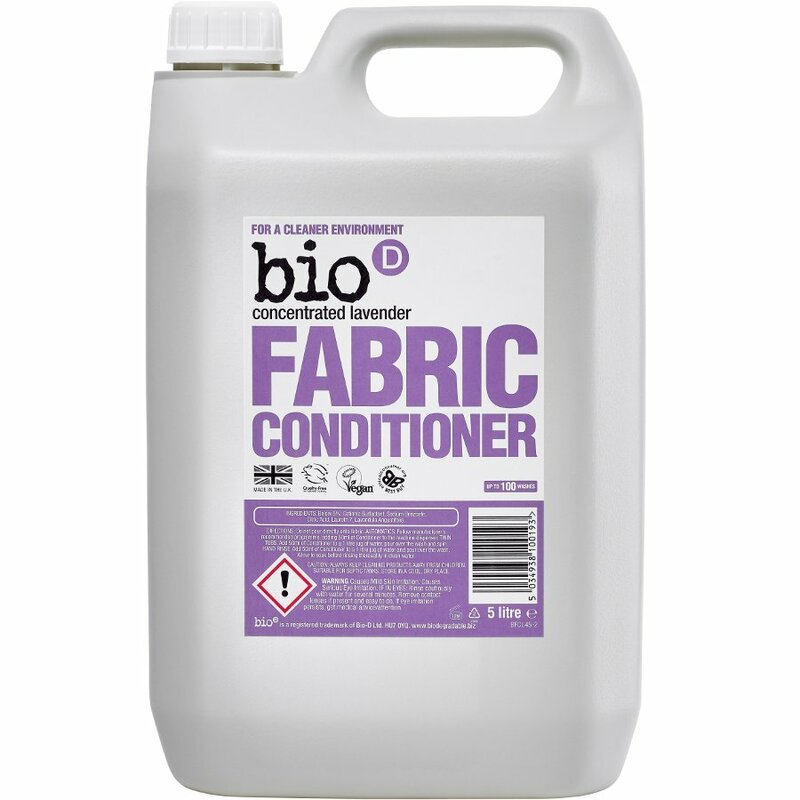 There are currently no questions to display about Bio D Concentrated Fabric Conditioner - Lavender - 5L.